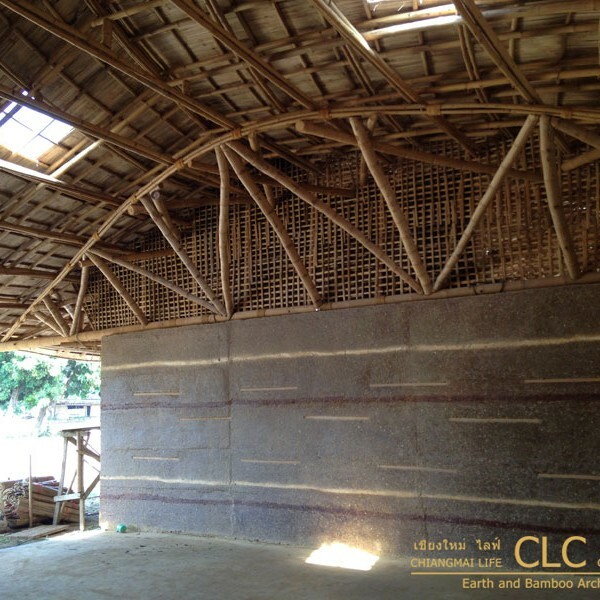 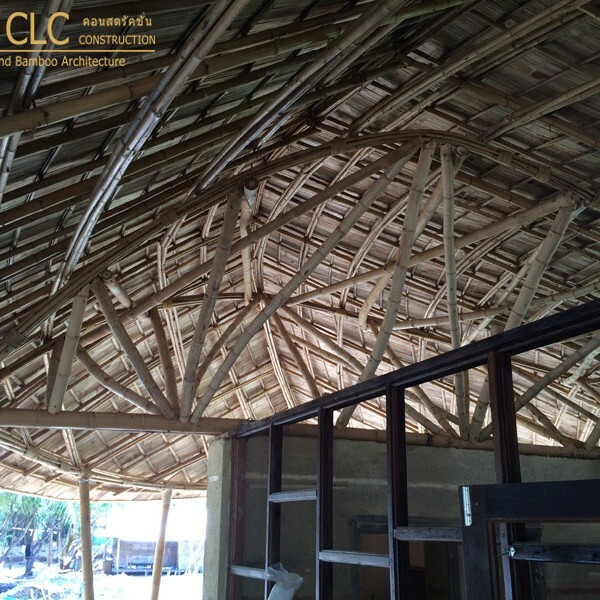 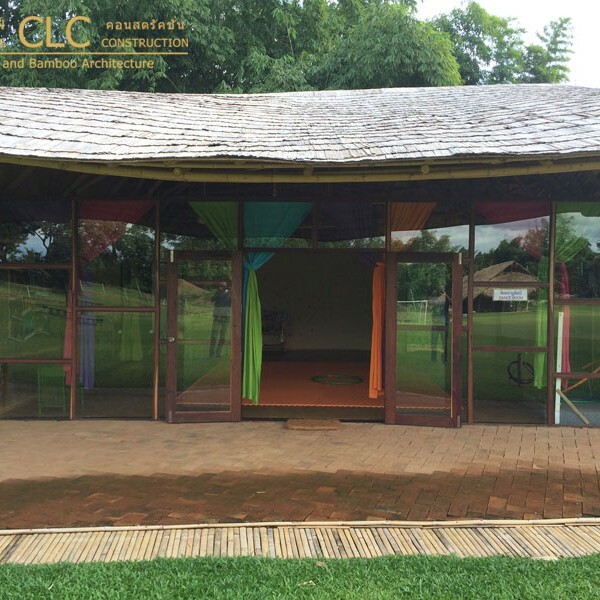 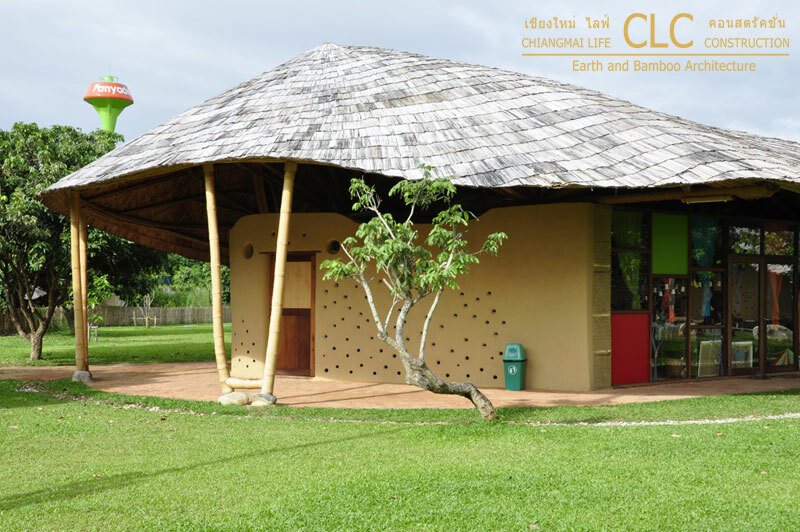 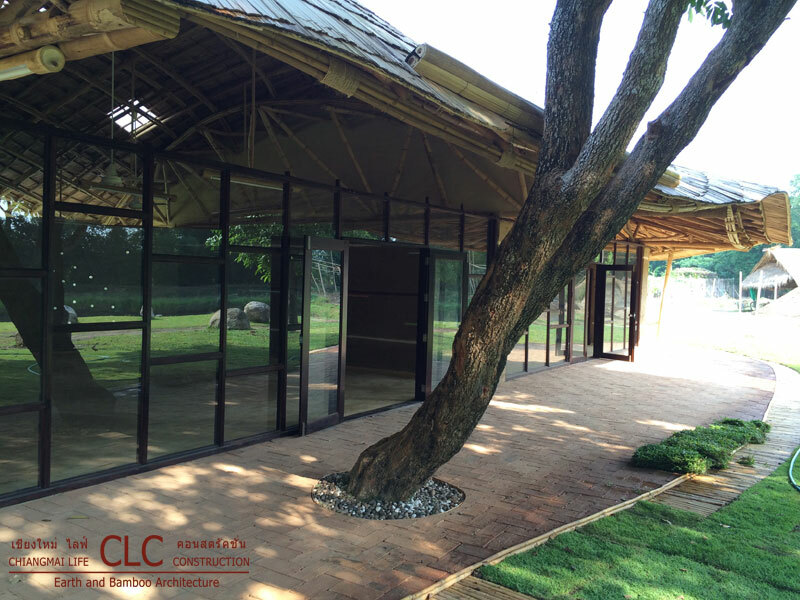 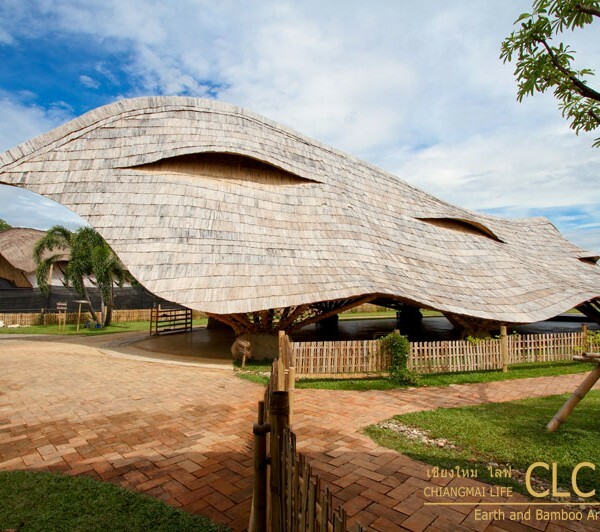 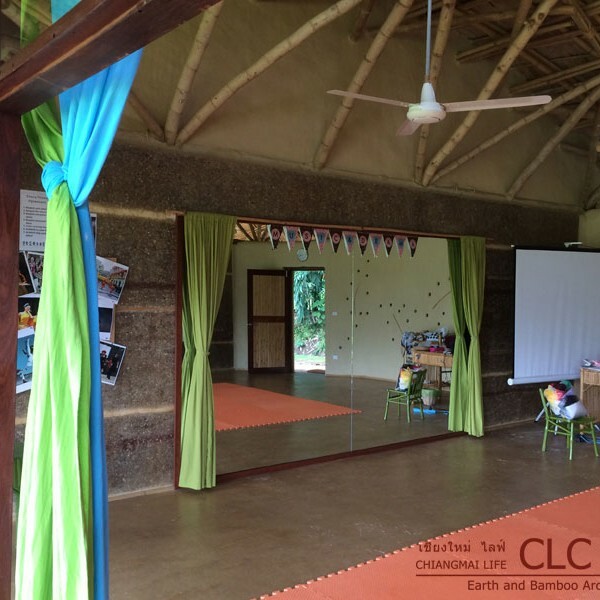 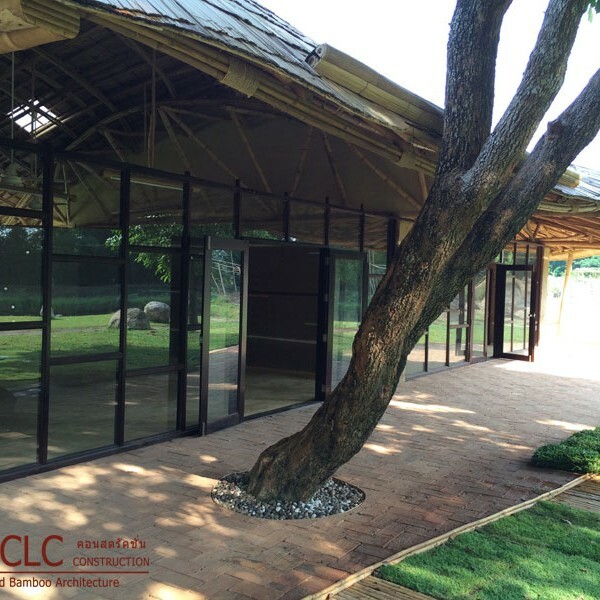 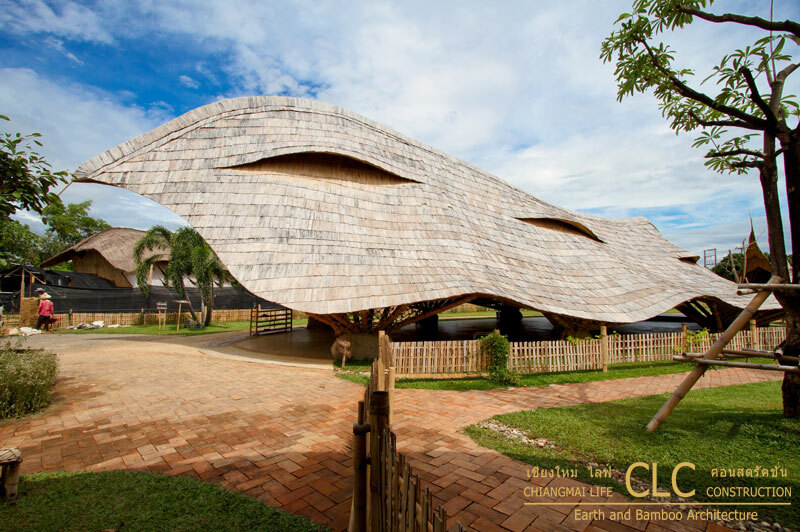 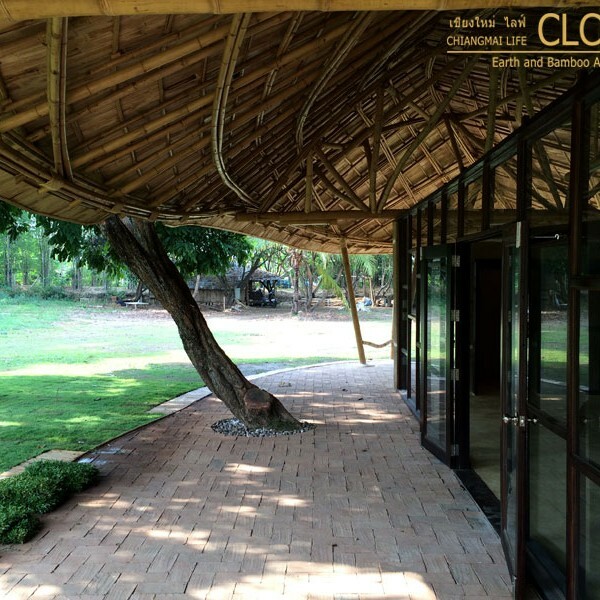 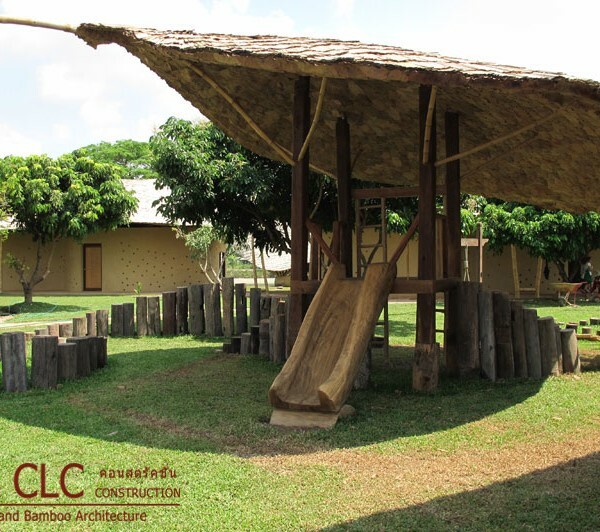 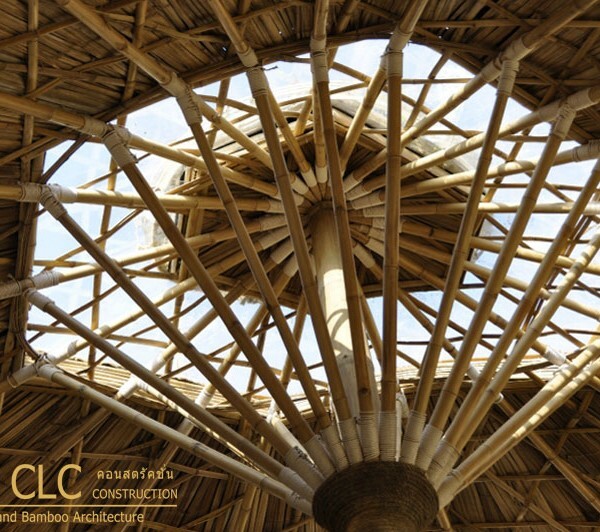 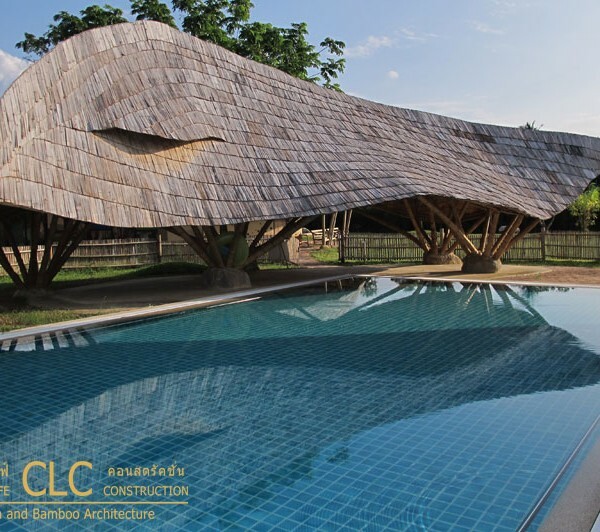 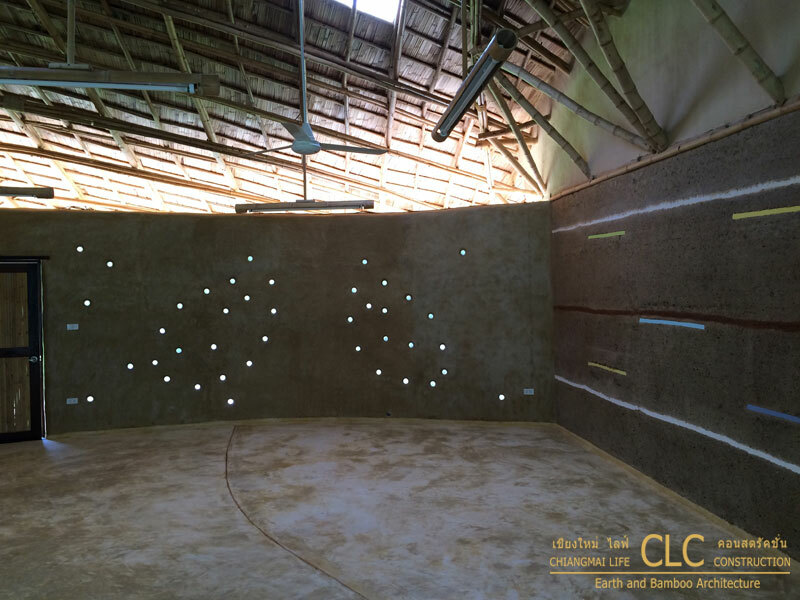 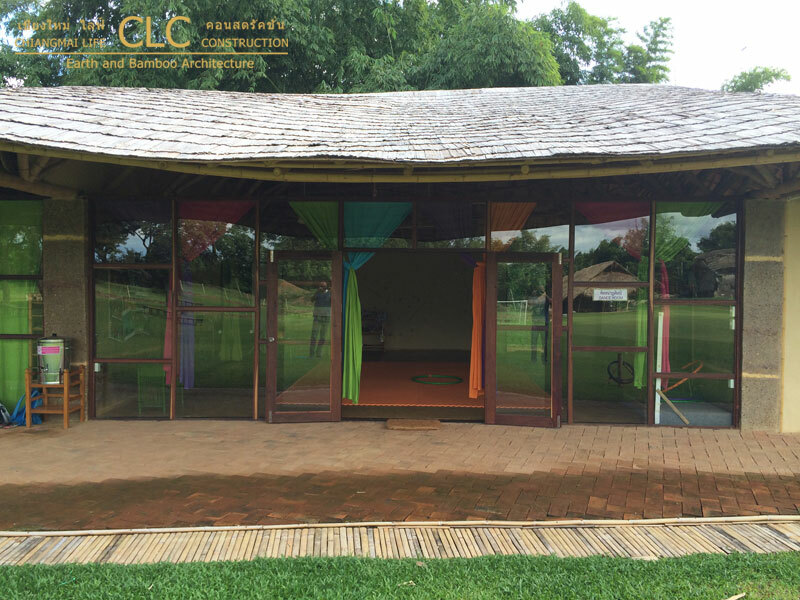 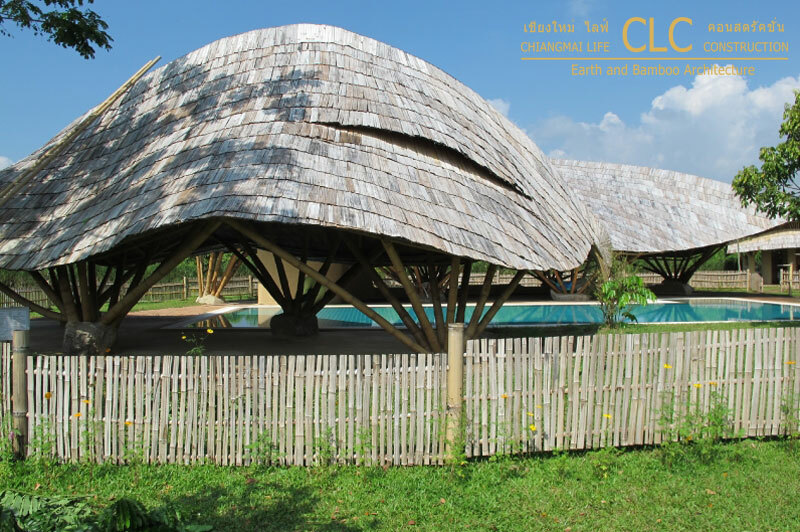 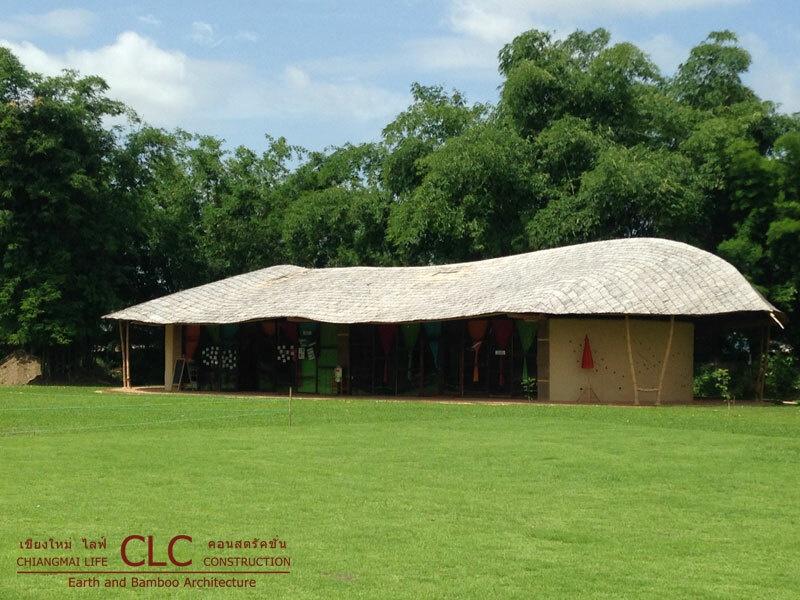 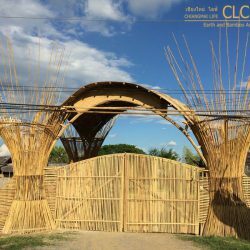 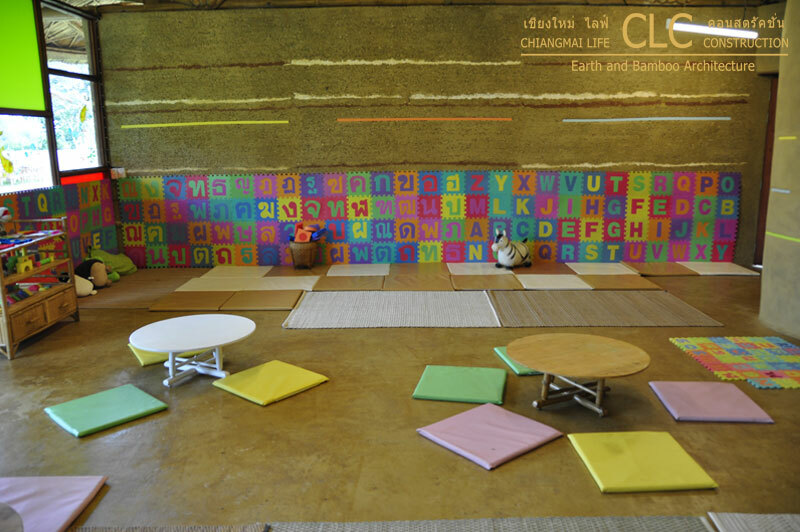 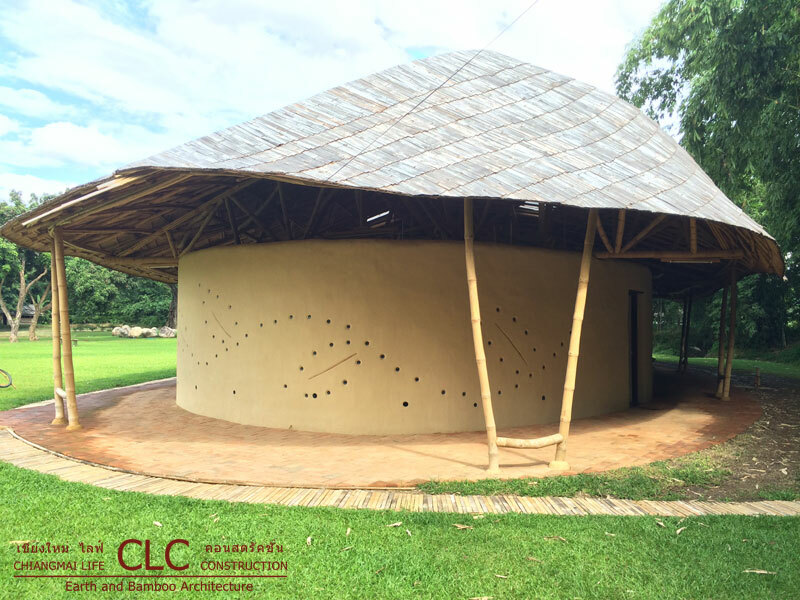 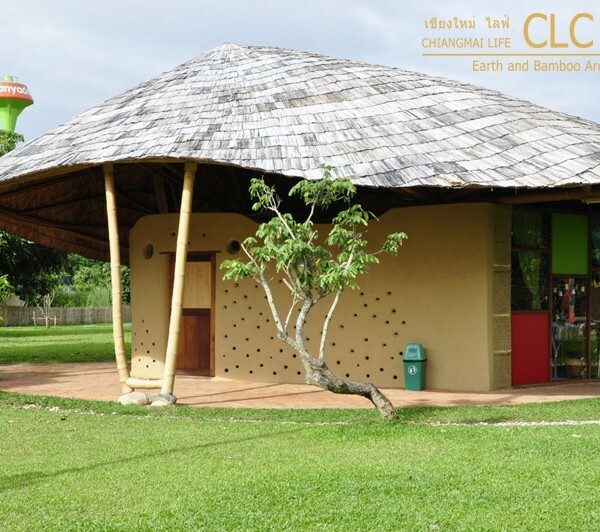 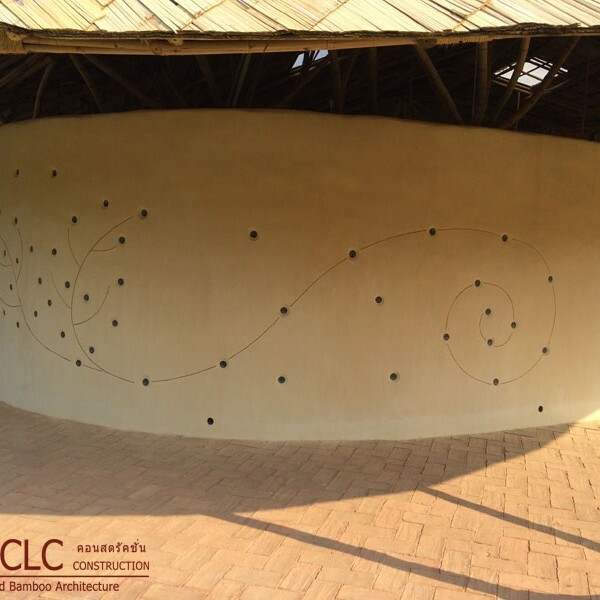 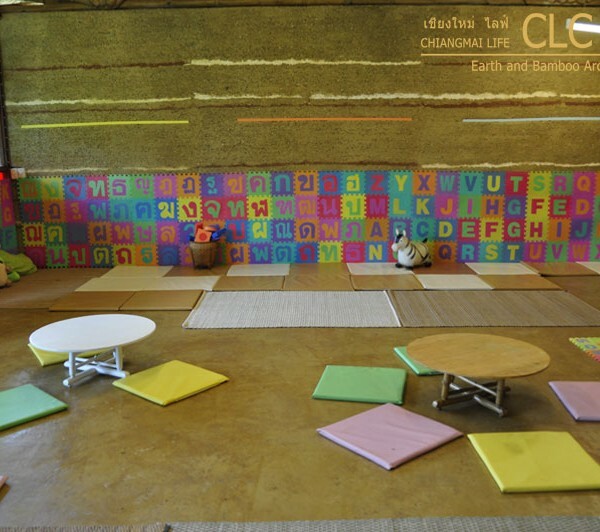 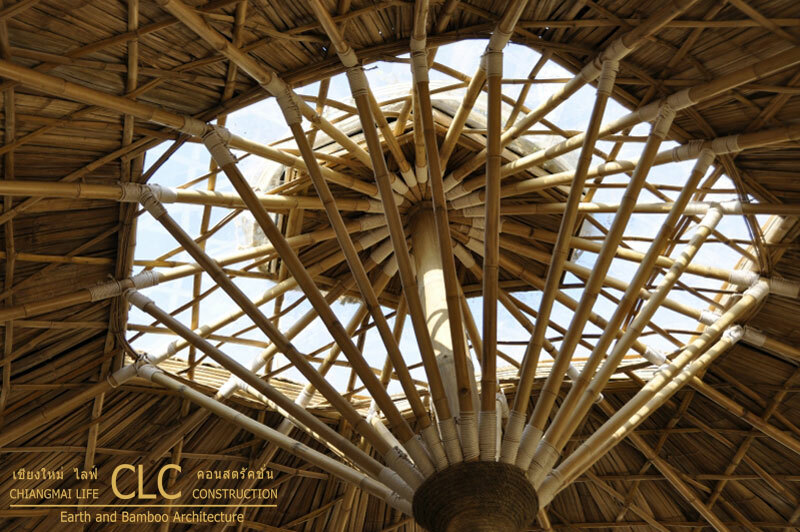 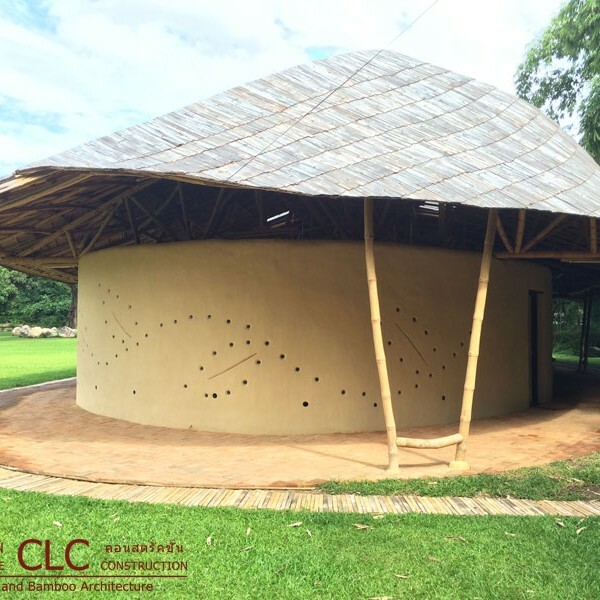 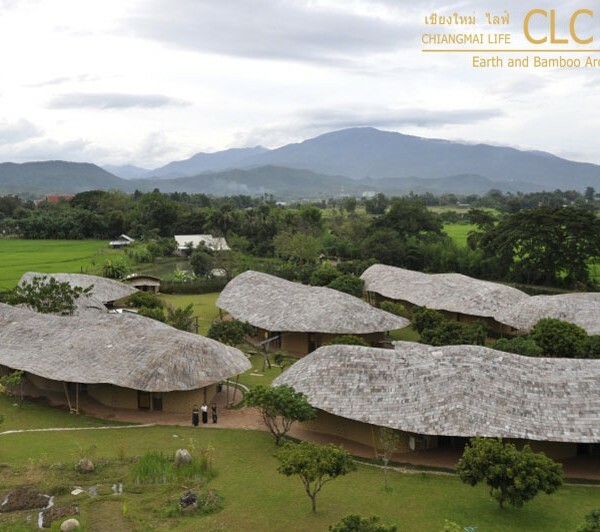 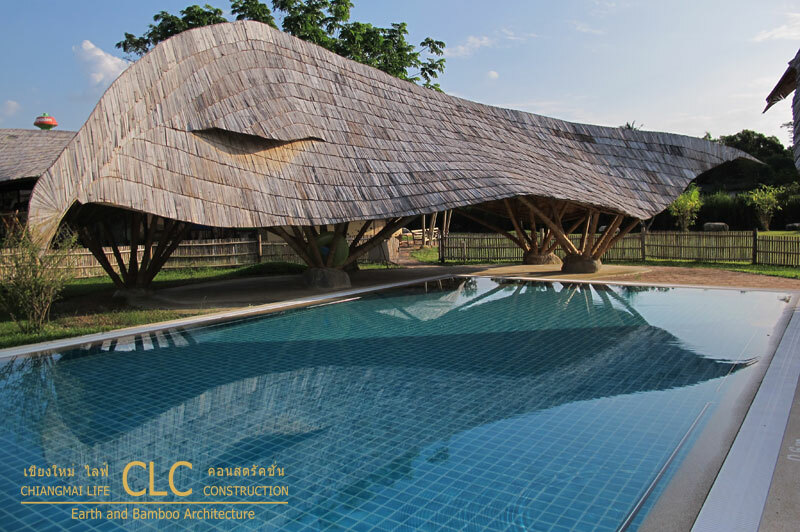 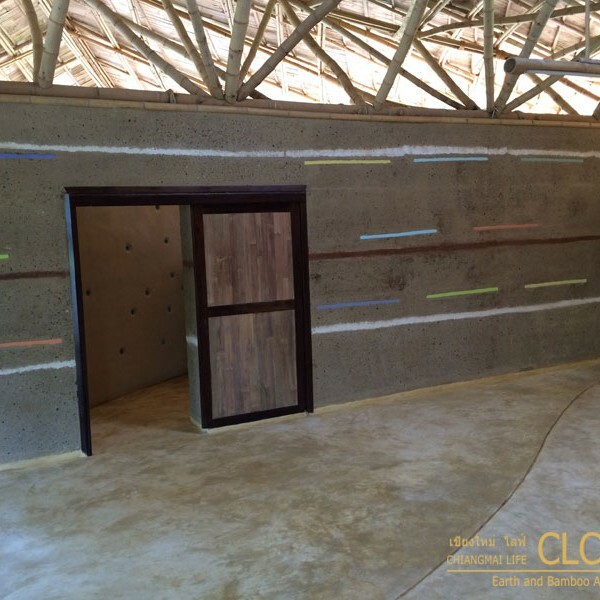 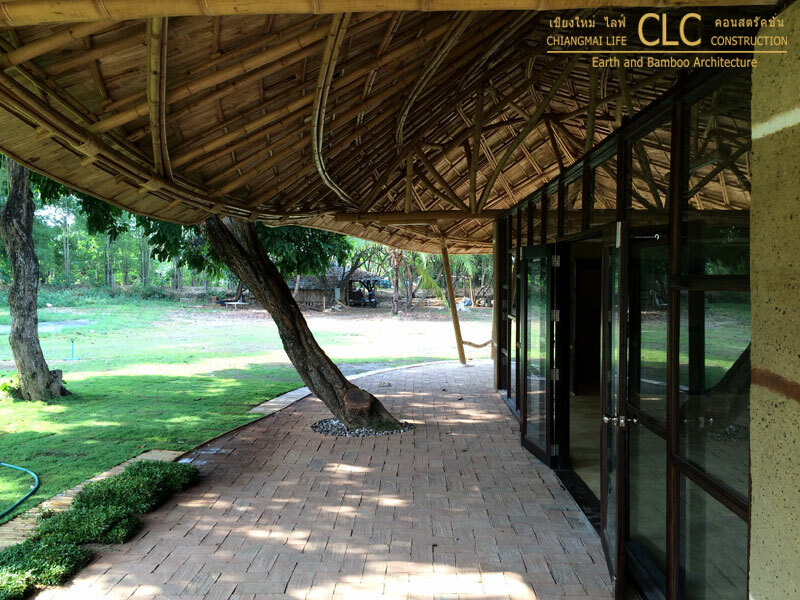 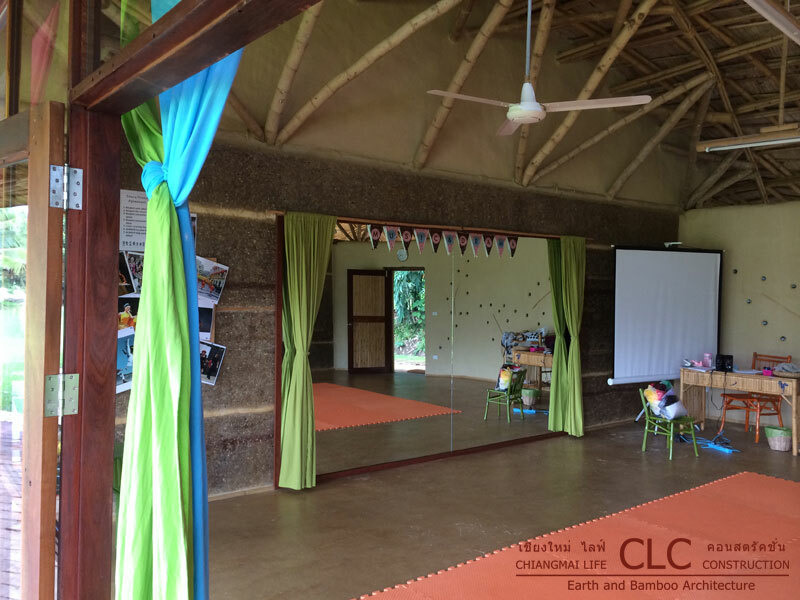 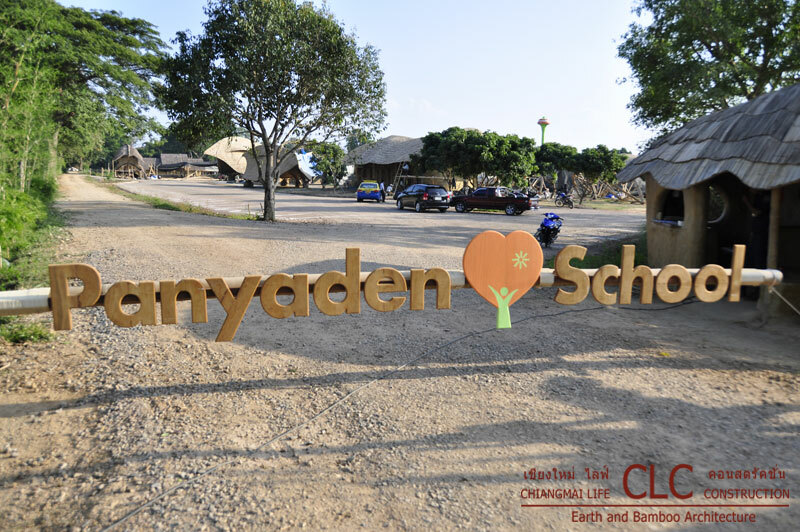 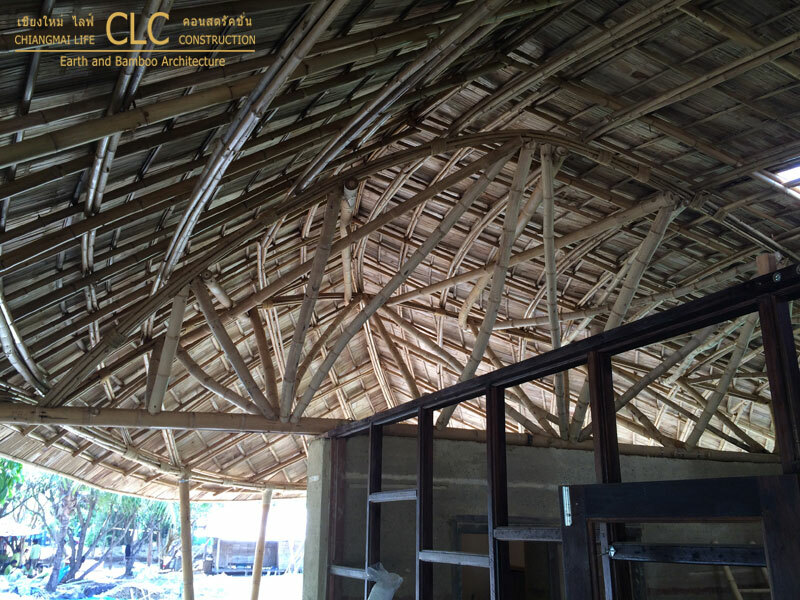 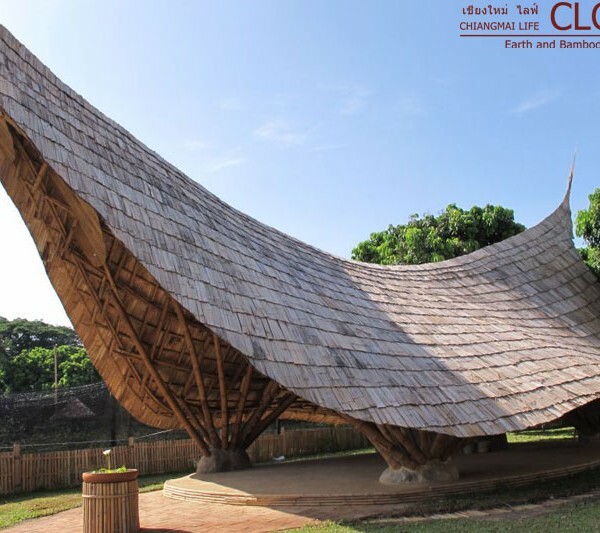 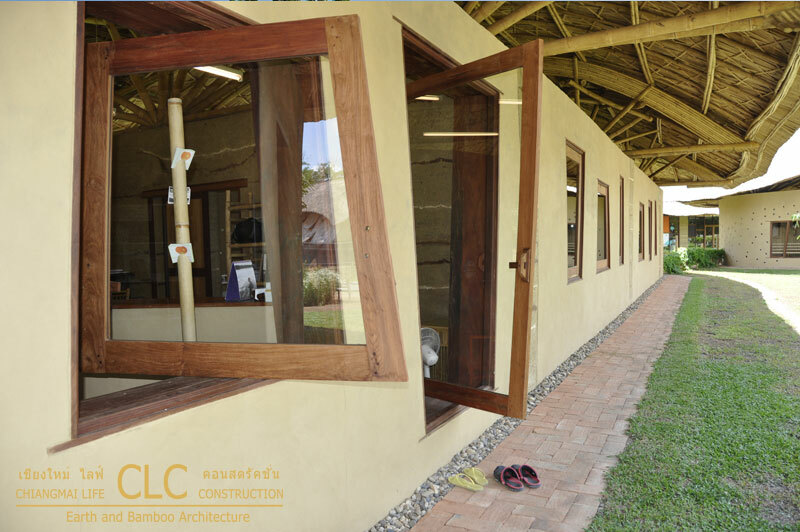 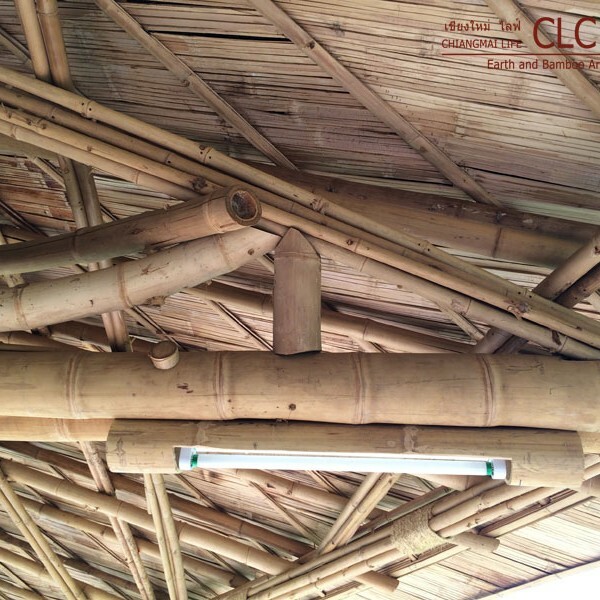 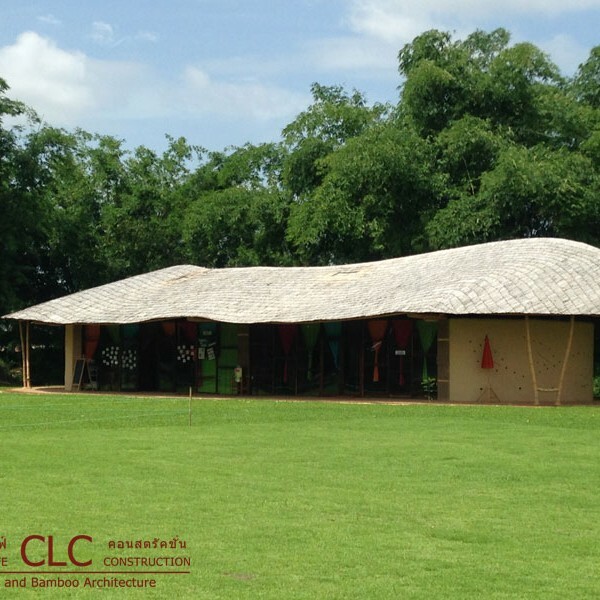 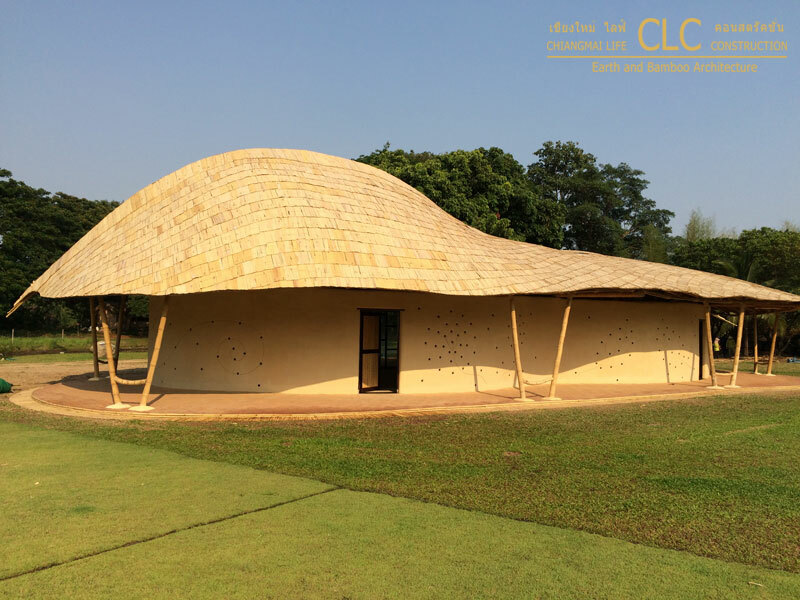 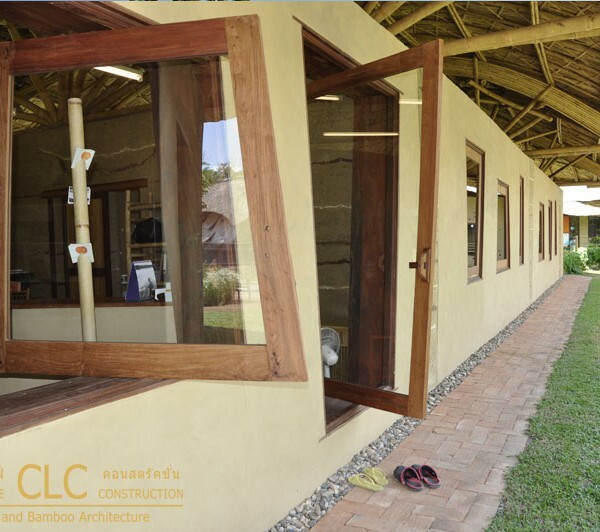 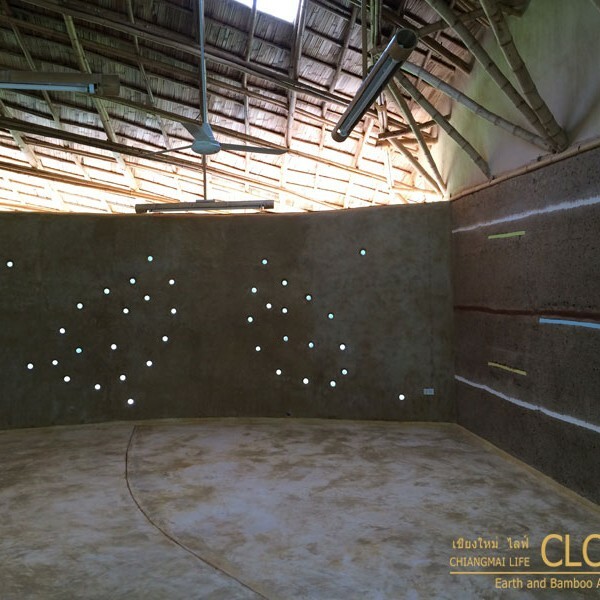 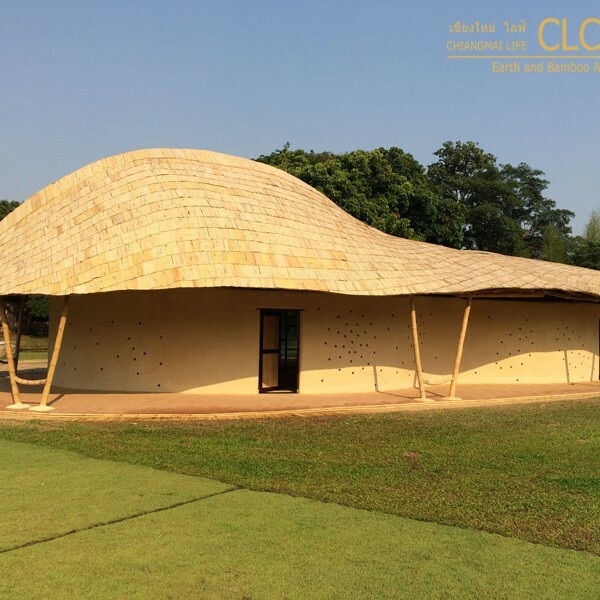 One of CLC’s main projects is the environmentally friendly Panyaden School, a green school built entirely from bamboo and earth, in Chiang Mai. 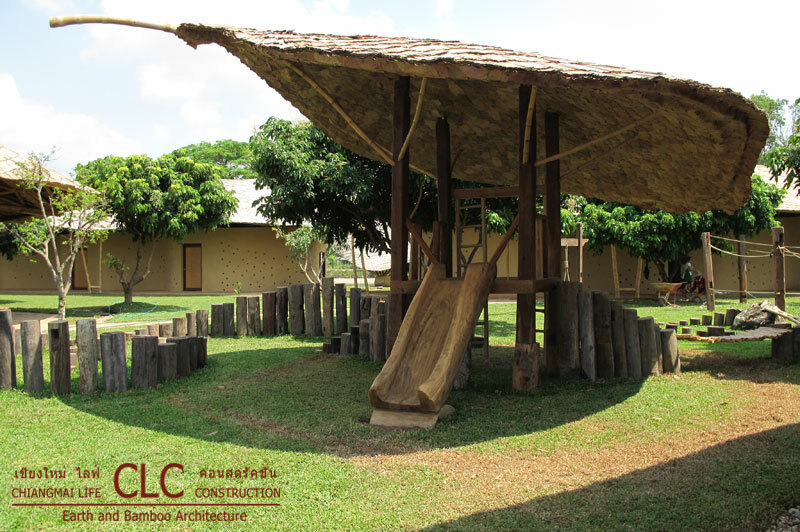 The school was conceived to provide an atmosphere that is peaceful and close to nature. 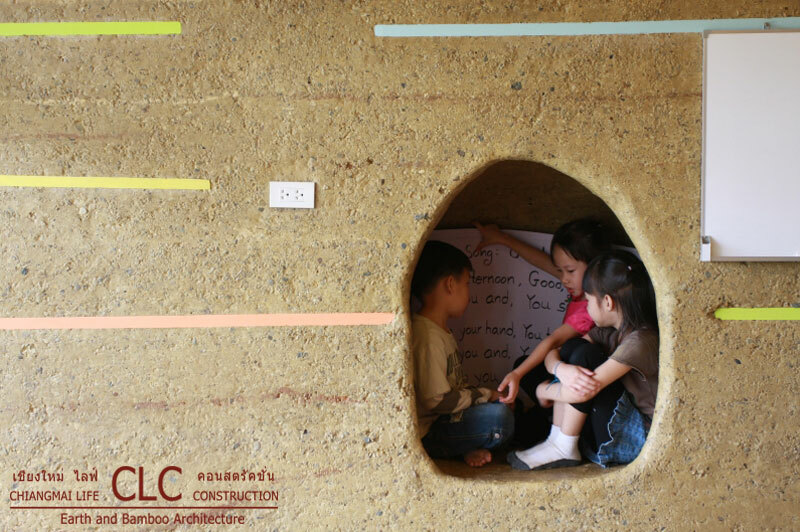 Furthermore, it wants to demonstrate how to live an environmentally mindful life with a low carbon footprint. 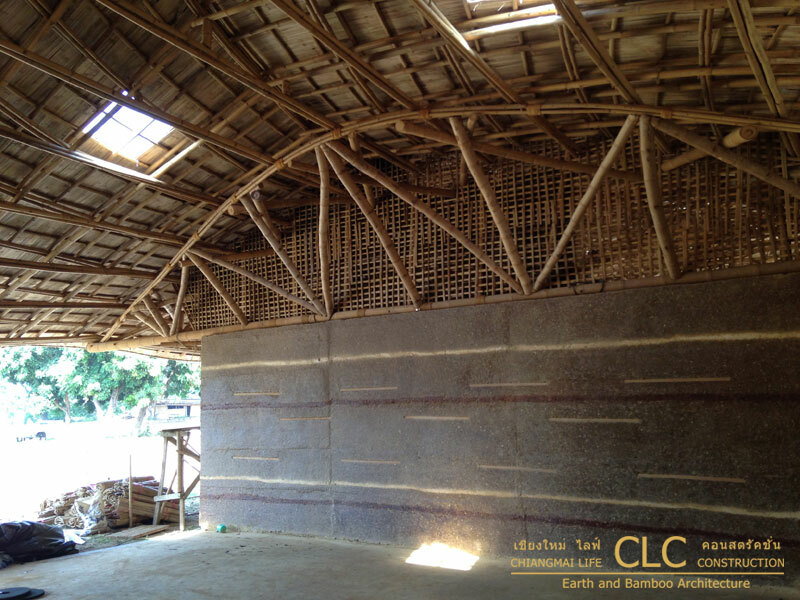 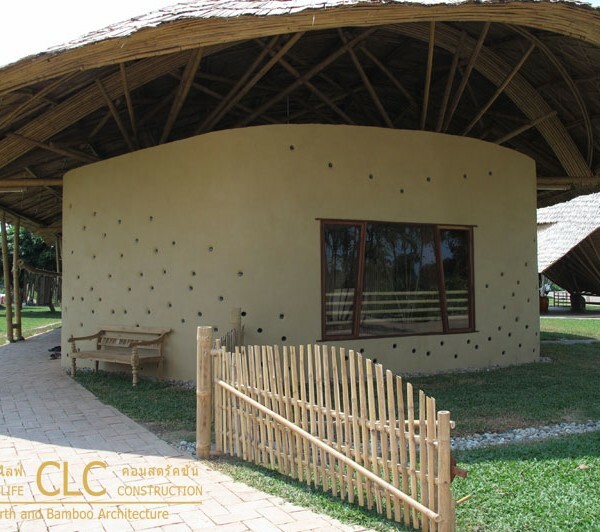 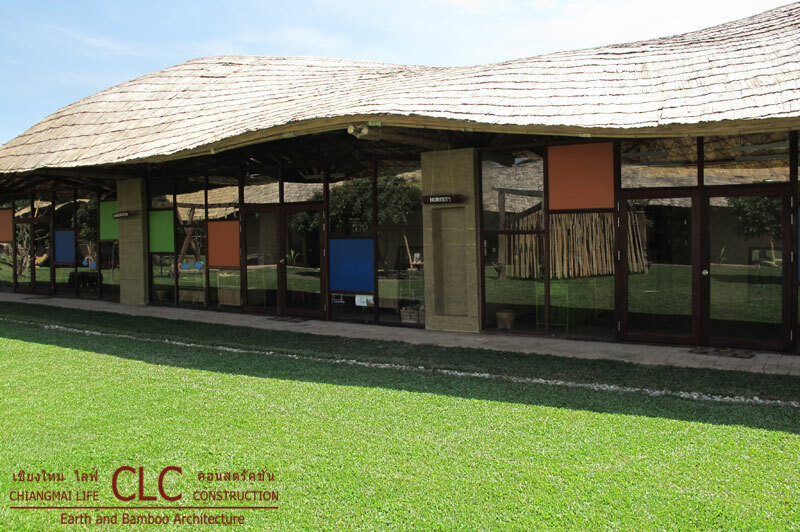 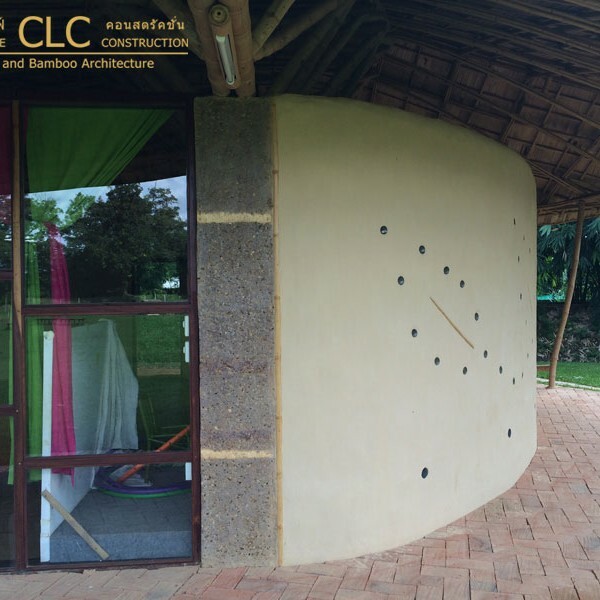 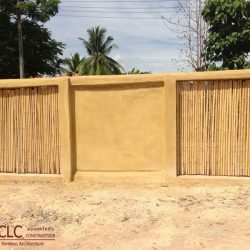 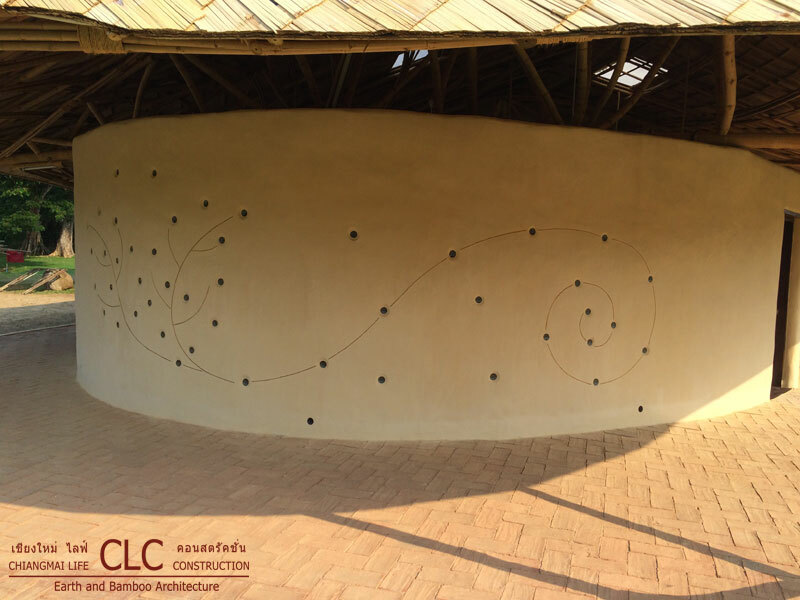 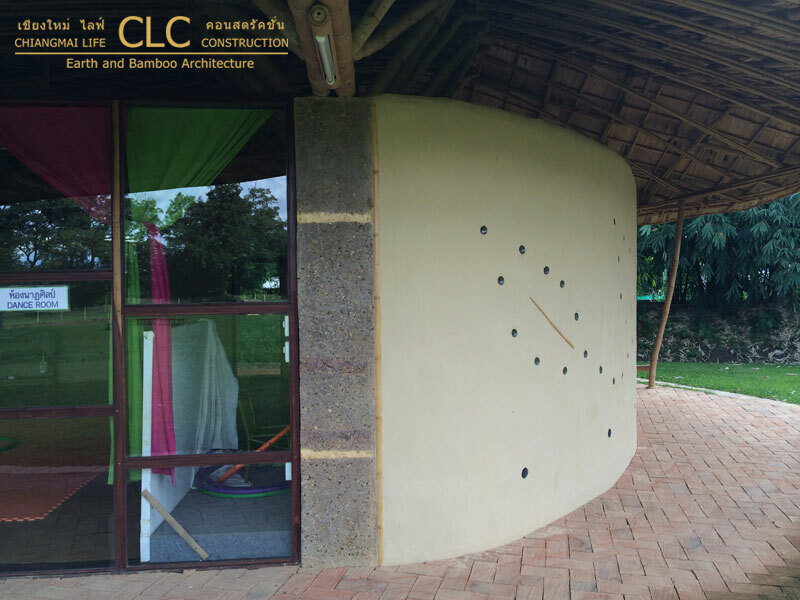 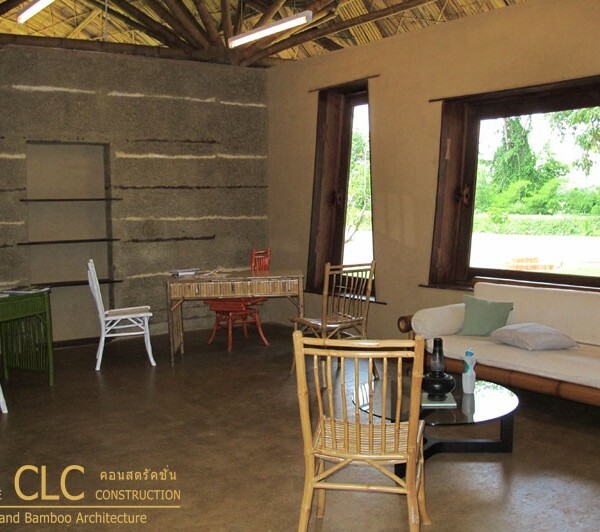 Therefore CLC chose earth/clay, stones and bamboo as the main construction materials. 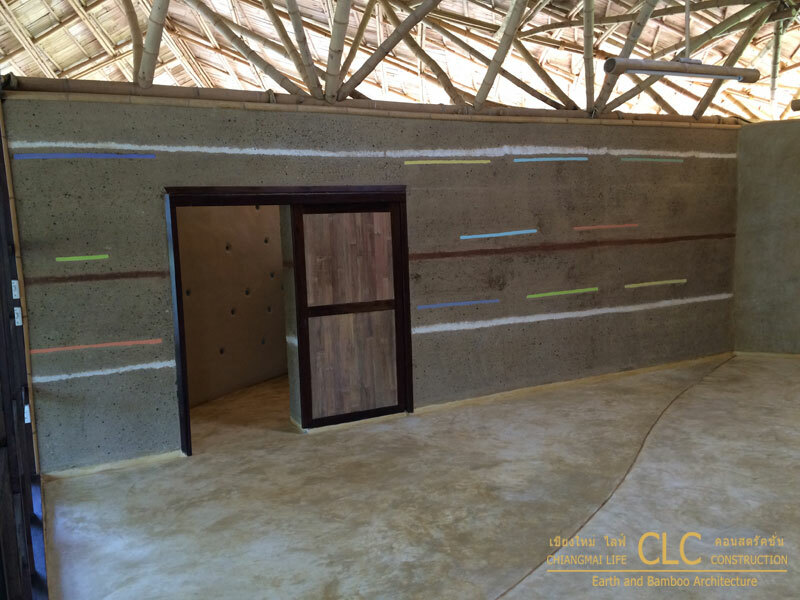 Walls are built either from rammed earth or adobe bricks. 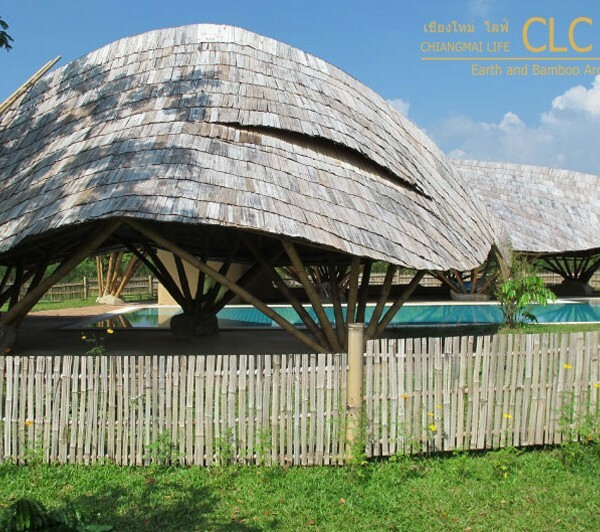 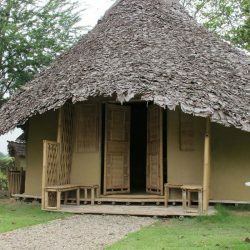 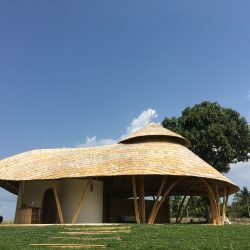 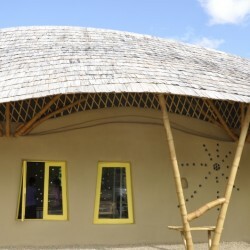 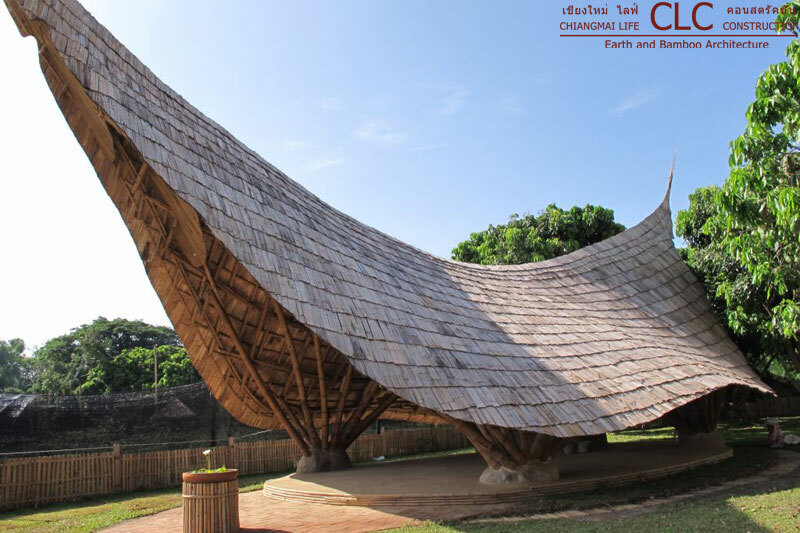 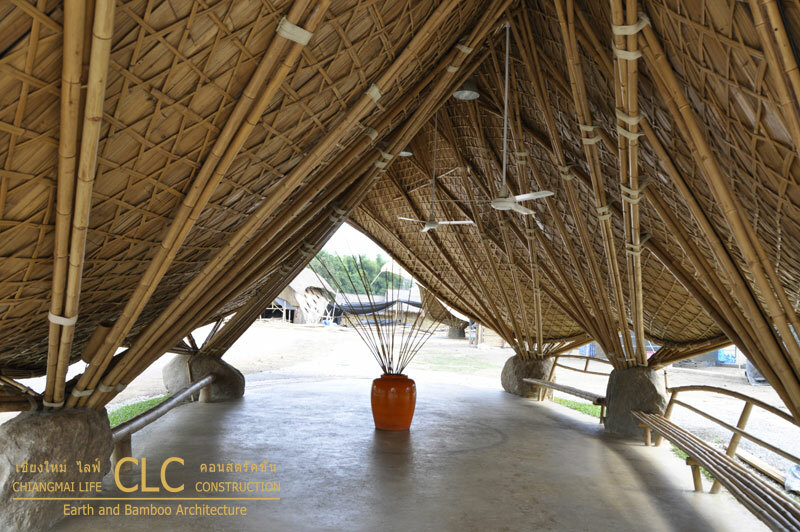 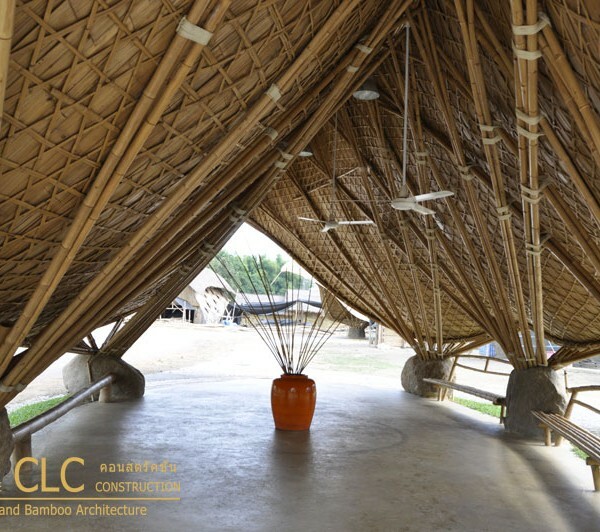 The roofs are built entirely from layers of treated bamboo. 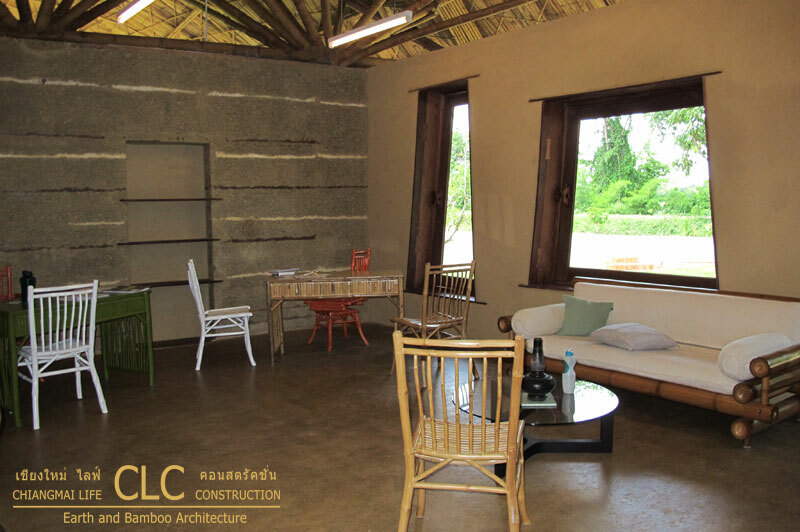 All the rooms are designed so that air-conditioning is not needed. 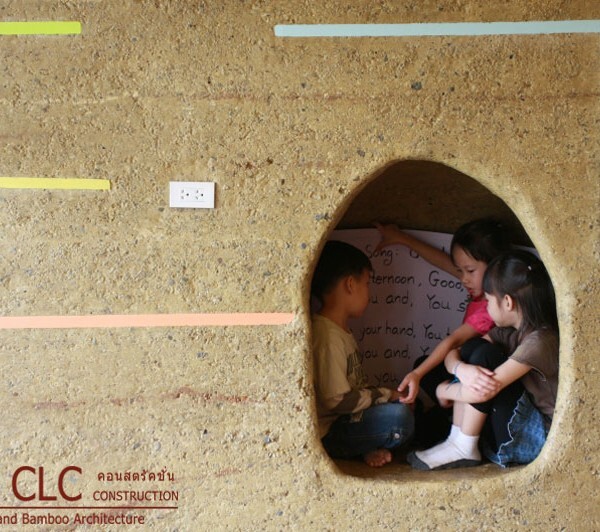 The earth walls are great insulators against heat and cold, as well as noise. 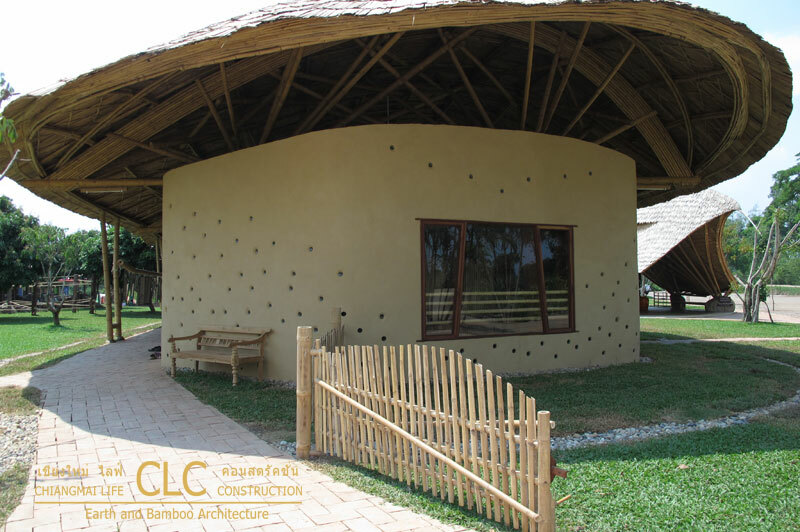 The bamboo roofs are good heat insulators as well and are designed to facilitate air corculation. 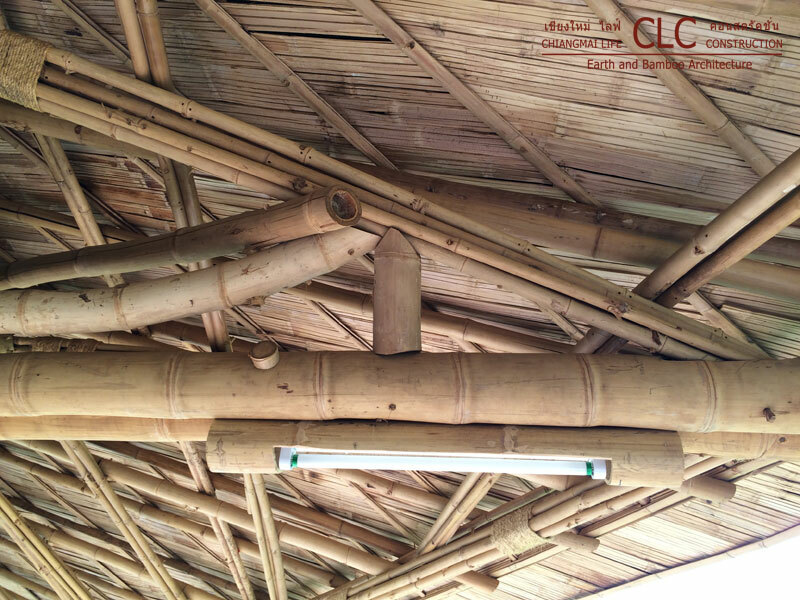 This evens out daily temperature variations and alleviates the need for air conditioning and heating. 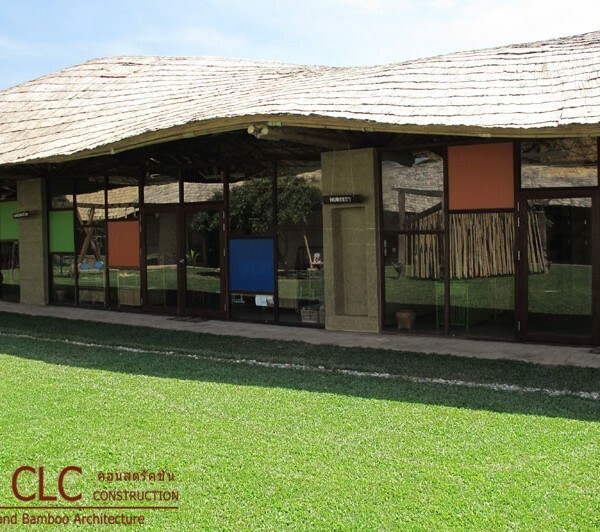 As we have learned over the years, every detail in this building has progressed far beyond its predecessors, from the use of lighter but stronger bamboo trusses to the creation of large bamboo dowels, the mix of the rammed earth walls and floor, the finishing of the adobe walls to make them fungus and water resistant. 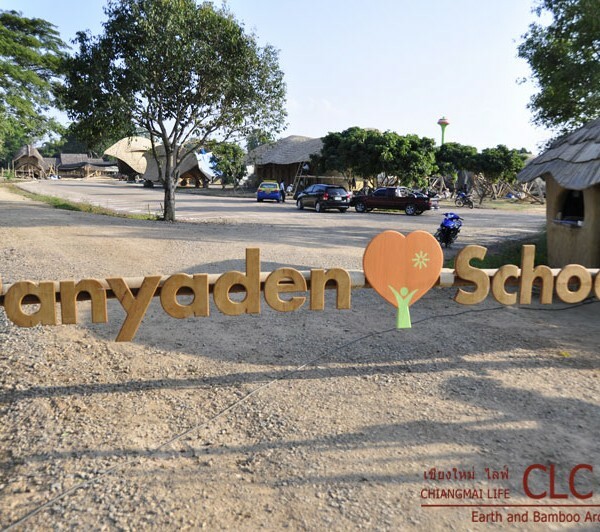 Situated in Chiang Mai the cultural heart of northern Thailand, award-winning Panyaden School integrates Buddhist values and environmental mindfulness with a modern bilingual curriculum. 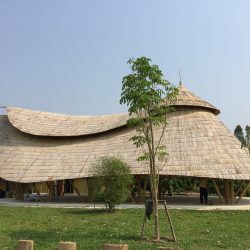 Panyaden won the prestigious “Design for Asia” Grand Award, as well as the Gold Award for it’s overall as well as it’s environmental design as a green school, built from earth and bamboo. 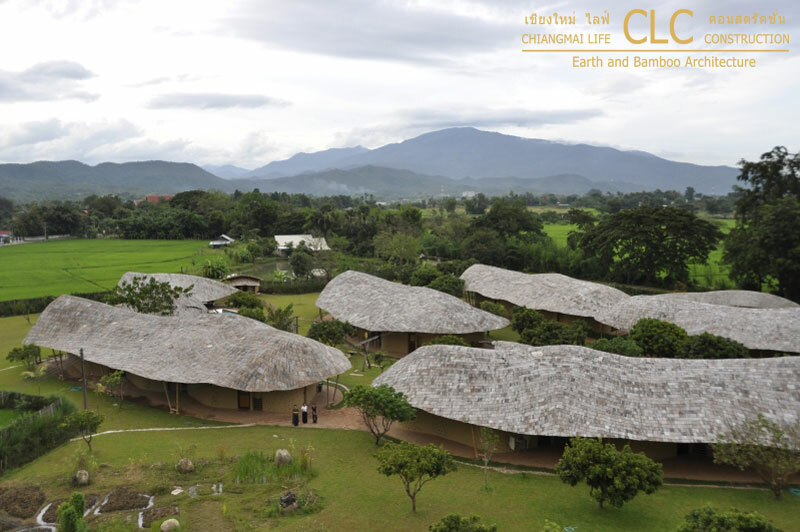 Panyaden is peacefully located among rice fields just 15 minutes from the city centre.